Which is the best way for us to greet you: “Hello, students!”, “Hi, students!” or “Dear students”? If you use improper or incorrect language and continuously make mistakes in your emails, you might fail to make yourself understood and fail to make a good impression on the reader. 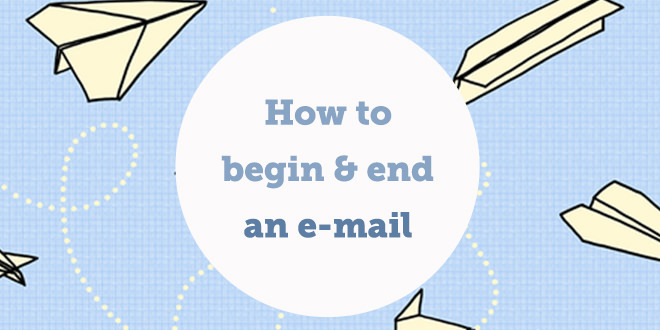 We often receive from students questions about how to begin and end an email in English. Today we will quickly summarise some options. We hope you find these expressions useful. Keep learning and writing: practice makes perfect! Sign up and read more great articles Here! Dear @ABAEnglish, here I am learning how to begin and end an email! I’m glad you liked it a lot! Thanks I like this article. Thank you, this is all very intesting for me. Bye. thank you for all informatio?